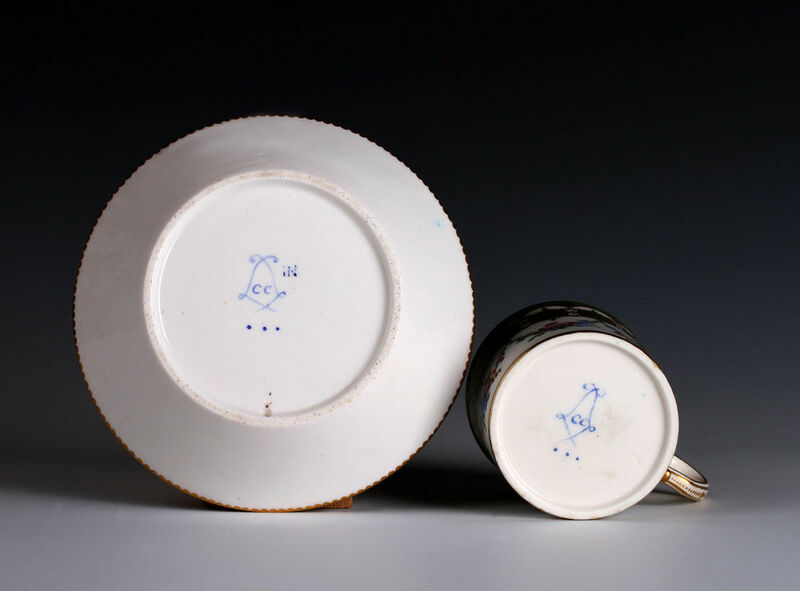 Blue interlaced Ls enclosing the date letter CC for 1780, painter’s mark of three dots for Tandart l’ainé, the saucer with the gilder’s mark IN for Chauvaux le jeune, incised mark on the saucer 43 and on the cup 36 and 17. Decorated with floral swags hanging from gold paterae on a green ground. 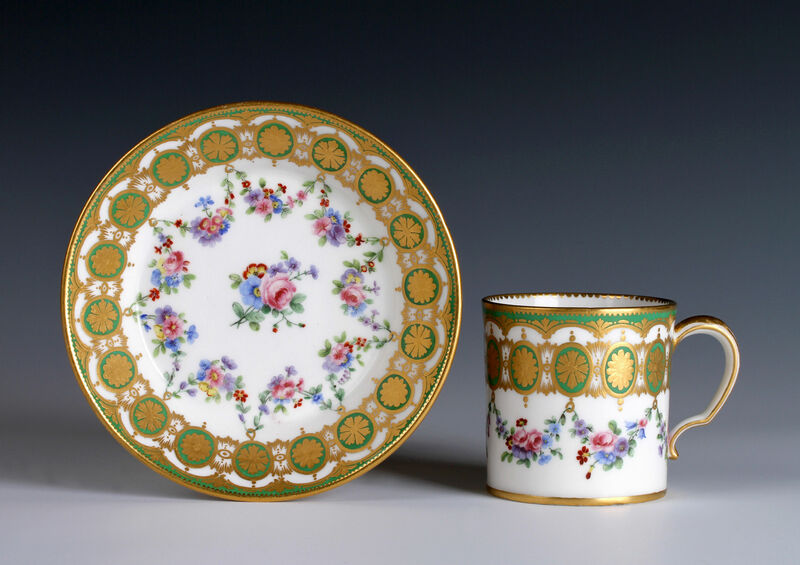 The same design, also painted by Tandart in the same year, exists on a blue ground on a milk jug in a private collection and on a bleu celeste sucrier of 1789 painted by Niquet. 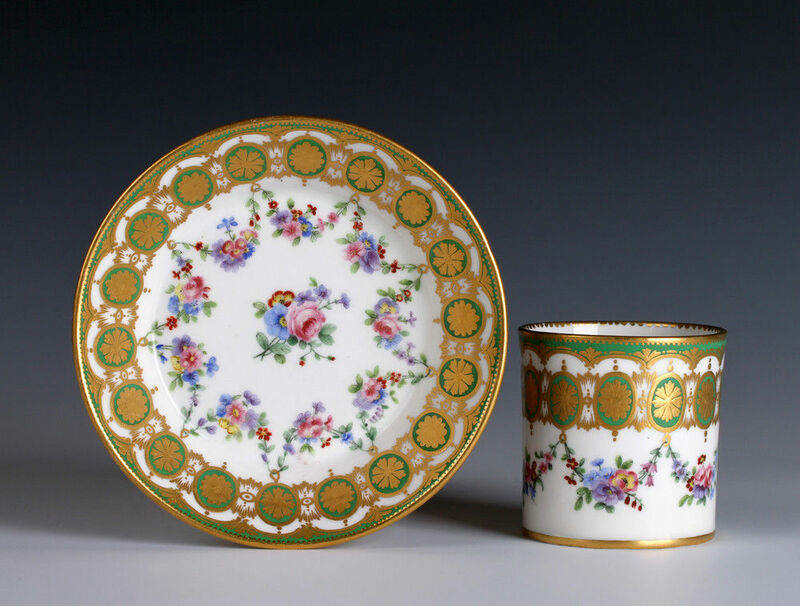 The saucer 13.7 cm. diam. and the cup 6.8 cm. high.